PI Balasubramaniam captivates the audience in his first public experience. KUALA LUMPUR: Support for P Balasubramaniam during his first public appearance following his return to Malaysia was nothing short of overwhelming. Hundreds thronged the Kuala Lumpur and Selangor Chinese Assembly Hall (KLSCAH) last night to catch a glimps of the private investigator who implicated Prime Minister Najib Tun Razak in the murder of Mongolian national Altantuya Shaariibuu. Organised by pro-opposition group Solidariti Anak Muda Malaysia (SAMM), the forum “Who Killed Altantuya?” was also graced by PKR Rembau division chief Badrul Hisham Shaharin (Chegubard), Cynthia Gabriel from human rights NGO Suaram and controversial cartoonist Zunar. During the forum, Balasubramaniam shared his experience working for Abdul Razak Baginda by recounting his first statutory declaration (SD) in detail. The crowd cheered whenever he mentioned Altantuya’s name, and jeered when he spoke of Najib. 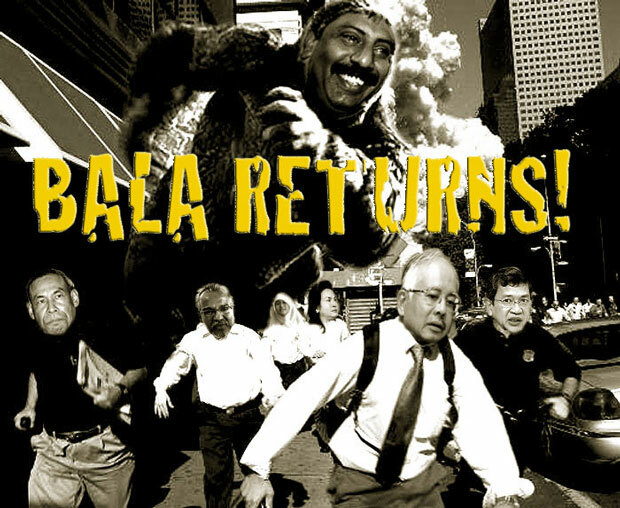 Balasubramaniam then pledged his support to Pakatan, and said he would “do anything” to see the opposition coalition come to power in the upcoming general election.